This article compares NS with PS4 from different aspects to help you decide which one is right for you. Many people may have difficulties choosing from PS4 or Switch or Xbox. This article will compare PlayStation 4 with Switch from portability, specs, games, price and hardware storage to help you decide which one suit you better. The PlayStation 4 is very heavy and huge compared to Switch. Although Switch is made up of a console, a dock and the Joy-Con, all of them together still weigh less than a PS4 console. The PS4 needs two hands to hold it while the Switch is very portable to carry with single hand and can be put in the pocket to play anywhere and anytime. And the way they store games are different as well. The PS4 has physical disc drives so you need to take the disc around, while the Switch uses cartridge instead. So you can take a tiny microSD to store games, which is much more convenient. Therefore, if you often go on business trip or all travel, the Switch is a better choice. 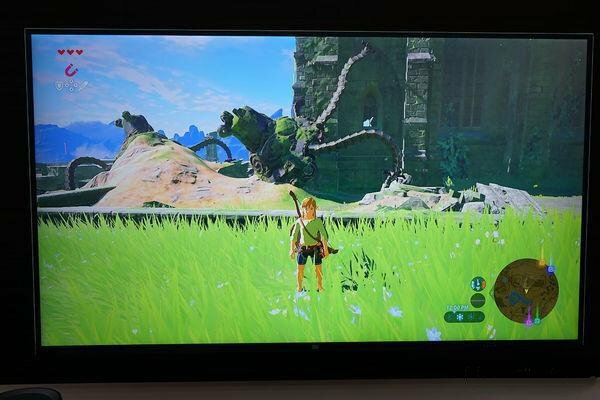 It’s no doubt the PS4 beats the Switch in different specifications. 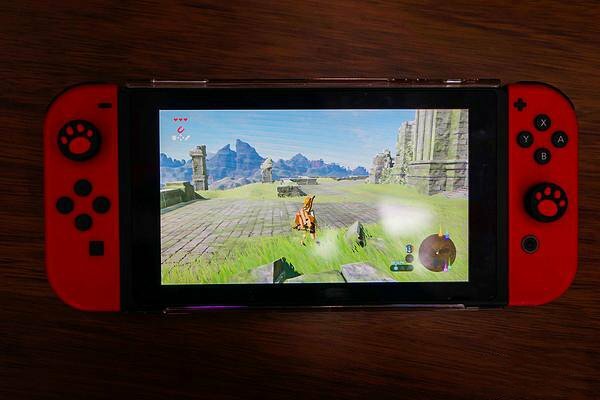 The Switch has fewer processor cores and lower speed, as it is only a tiny machine after all. 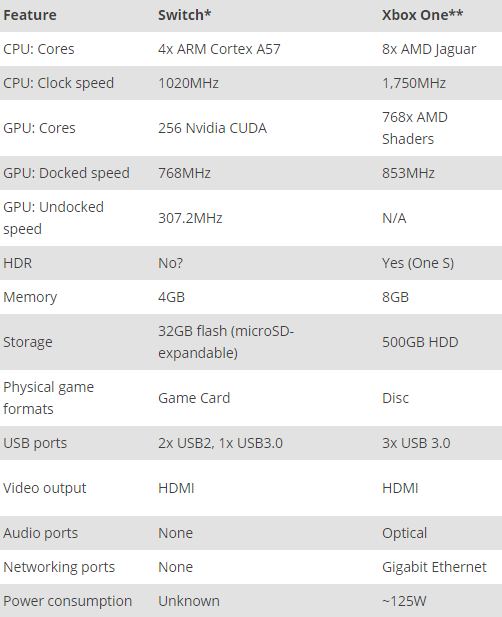 Let’s take a look at the different specs of these two consoles. If this table is complicated for you, then let’s take a look at their games. 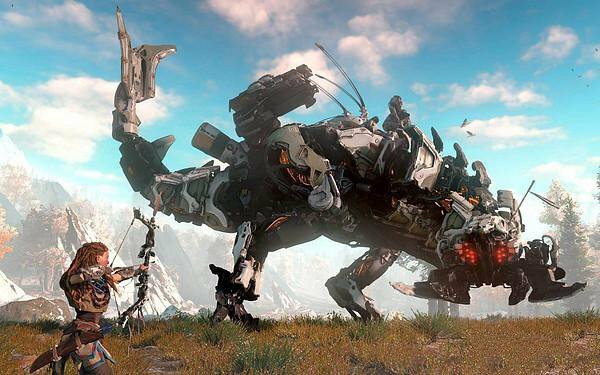 PS4 PRO supports the original 4K games, and the Horizon Zero Down is one of the finest examples of HDR games. You can see the gorgeous open world with every detail and easily immersed in it. 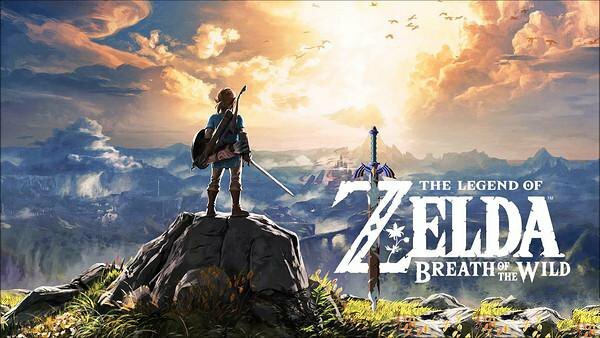 While in Switch, as one of the best games, The Legend of Zelda: Breath of the Wild is also an open world and uses dynamic scenes as well. Although it has some serrated edges under 1080P and 720P, the overall scenery is still acceptable. And the Mario series are all cartoon style which even makes up this shortage. 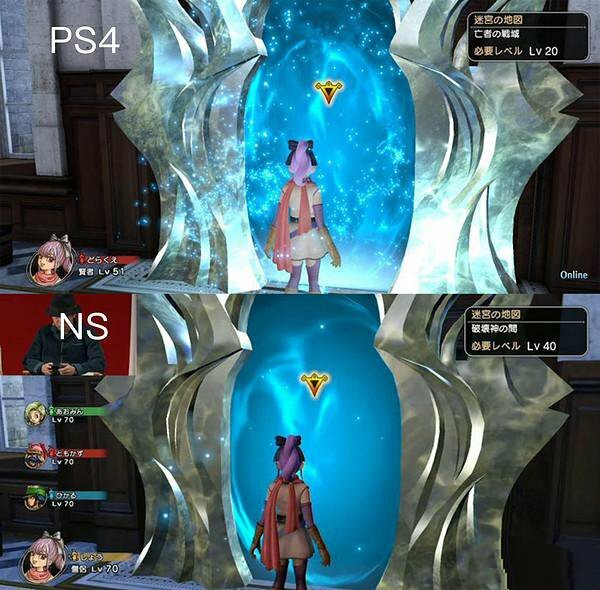 As the games are different, it’s not fair to compare with each other, but below is a comparison of the display on the same game Dragon Quest Heroes. 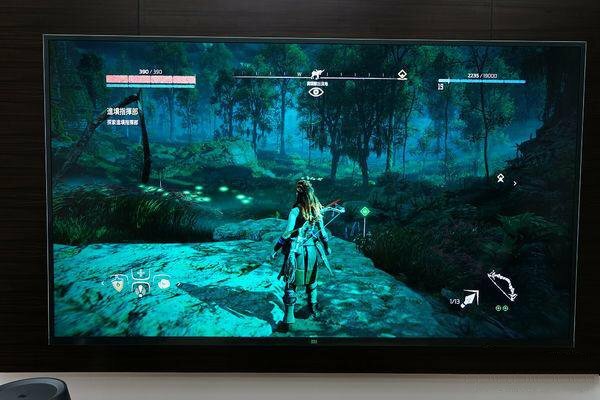 It’s quite obvious that the PS4 has a much clearer and brighter display. 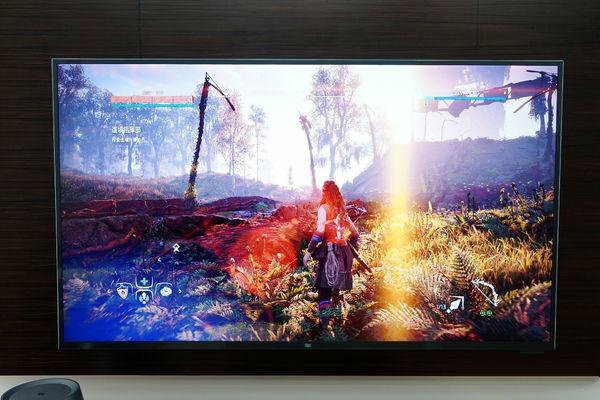 And the biggest advance is the additional HDR effect which Switch doesn’t have. The game is one of the key factors for gamers to choose which console to buy. These two consoles both have masterpiece, here we will simply talk about some of the hottest games for gamers to consider which one suit them best. PS4 has been in the market for a long time, if you are a green hand, you can start with the exclusive games as they rarely let games down and can play for a long time. 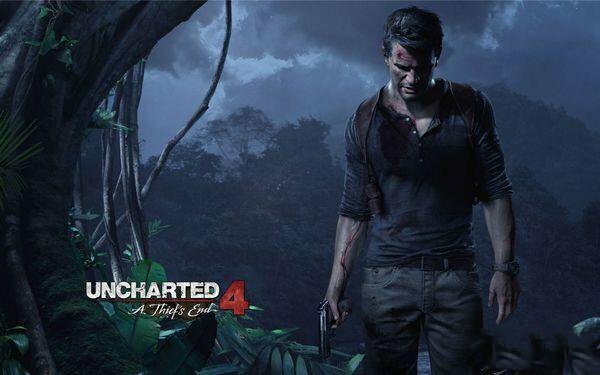 The Uncharted series and the Last of Us from Naughty Dog Company have a cinematic quality and unique way of handling game development. If you like adventure games, then you shouldn’t miss this. 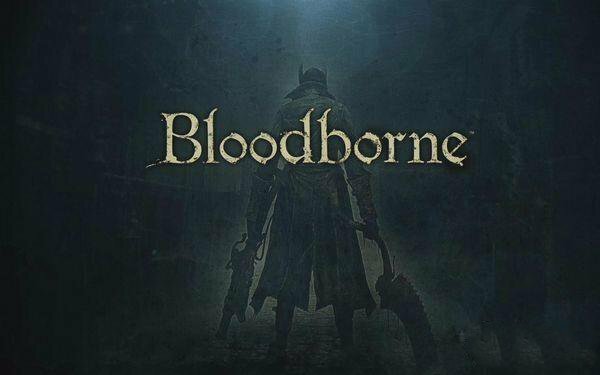 Bloodborne is also a fantastic game. The delicate scene and unique background settings can definitely make you crazy for the “friendly” game experience. This game is quite difficult and may even make you quit from the beginning, however this is what makes this game special. The Horizon Zero Down mentioned above can be the best quality of open world game. The fresh world view and nice experience with the battle system should worth the money. Although NS Switch hasn’t released that much games compared to PS4, it still has some nice games to make it a hot seller. 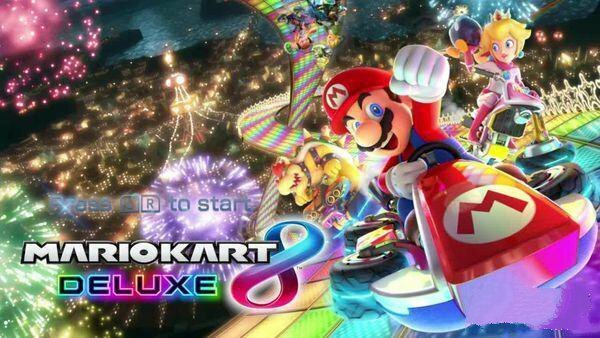 Mario Kart 8 Deluxe has the familiar map and the play method with a higher quality. It is definitely a must-play game with your friends. The Legend of Zelda: Breath of the Wild has earned great compliments for its lush woodlands and allowing players to explore all of it. Mario Odyssey brings up the memory of our childhood. 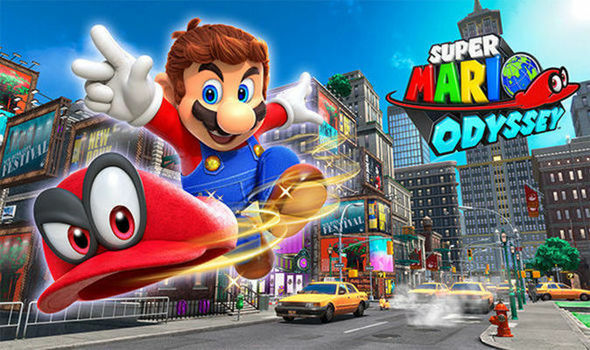 On the Switch it is presented as 3D and adds the new hat-shaped cap to make the game more playable. As PS4 has been around for a while, the price has dropped dramatically. Now you can buy a standard PS4 for about $300. And this is about the same price as the Switch. Now let’s look at the game price. The games of PS4 are around $20~$50, but if you are the PlayStation Plus member (it costs $59.9 to get a whole year membership), you can enjoy online games and get some free games every month, but these free games are only available during your membership. The game prices on the Switch are also around the same range, but you can buy the physical copy and sell them after you finish the game. This will save you some money. The Switch has a 32GB on-board storage so it’s quite easy to use it up. But you can expand the storage with a microSD card. 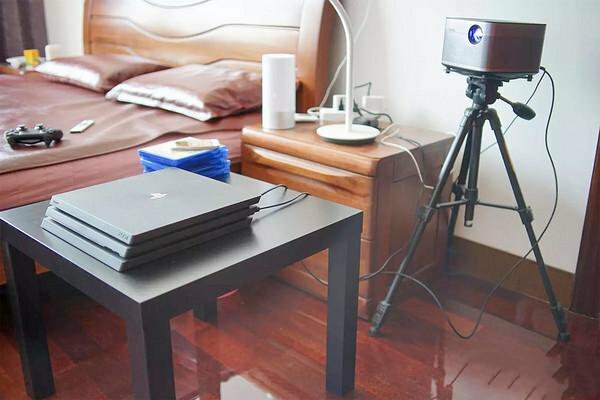 Compared to Switch, the PS4 has an up to 2TB storage which you can get from expanding either external hard drives (make sure it’s USB 3.0 HDD) or the internal drives. If you are Type A, join the PS4 team; if you are Type B, join the Switch team. You want to try any PS4 exclusive game. You like motion sensing games.